So now it’s now. This pokey middle period between two wine countries. 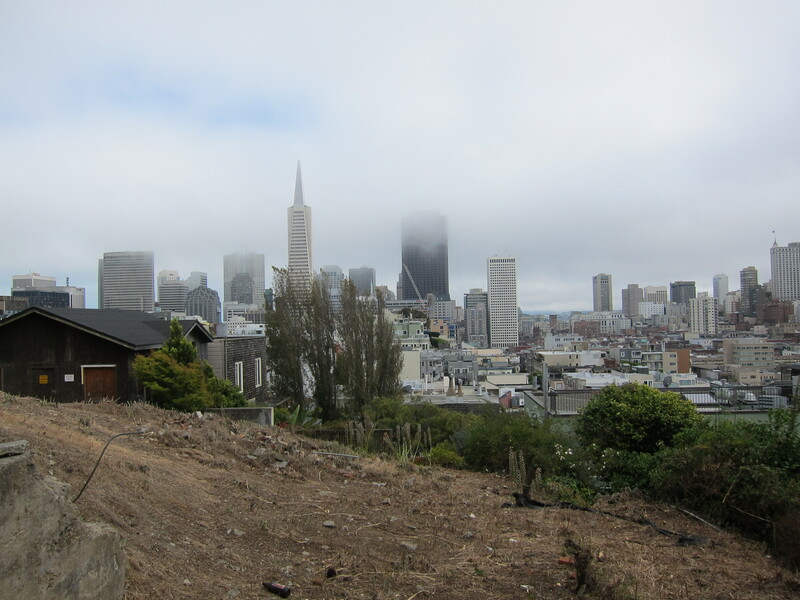 There are about a million things I still want to scream from rooftops – things about chaptalization and viticulture legislation and AOCs and AVAs and the Great Yeast Debate that is always in the air, much like yeast itself. And I will. Try and stop me. But instead of haphazardly forcing the ins & outs of this industry minutia on your delicate constitutions, I wanted to share some of my favorite shots snapped during my 7 months on the wild wild North Coast. 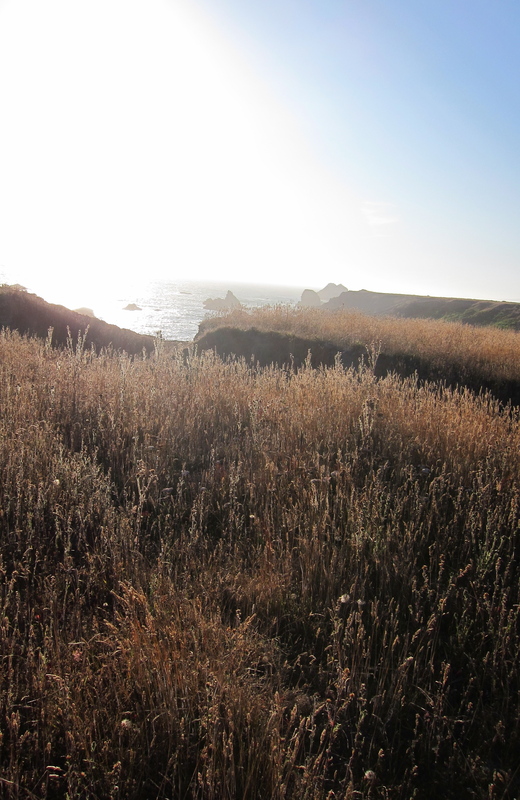 The Sonoma Coast. Distinctive with its craggy, slatey cliffsides and wheat-colored brush. 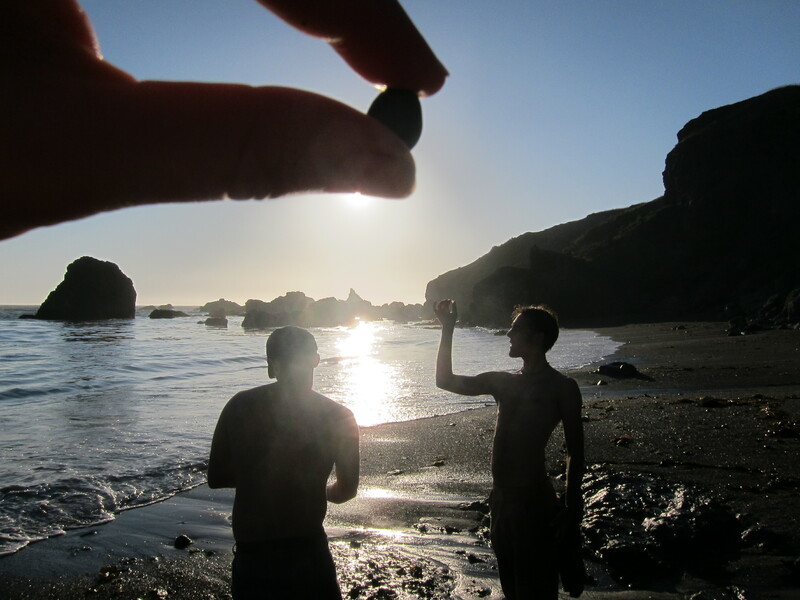 Shell Beach, just south of Jenner-by-the-Sea and due west of Guerneville. 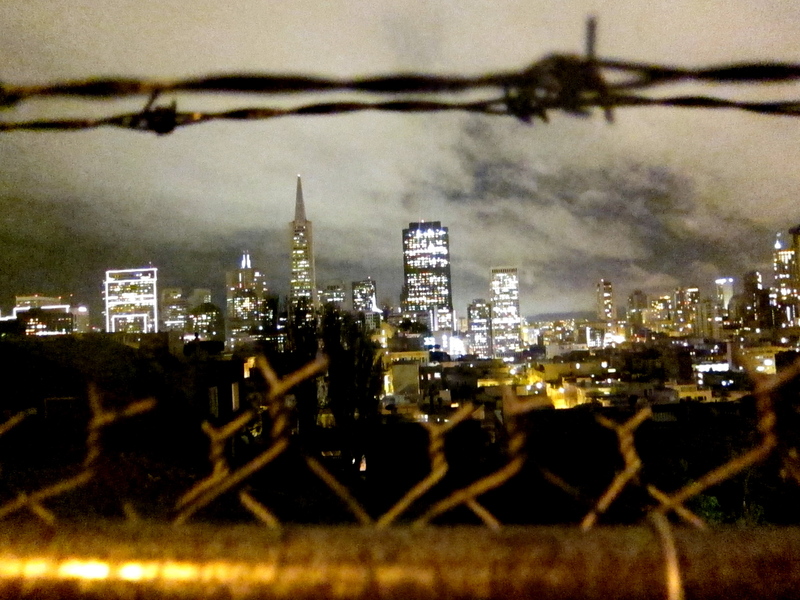 Above, the Russian River Valley. 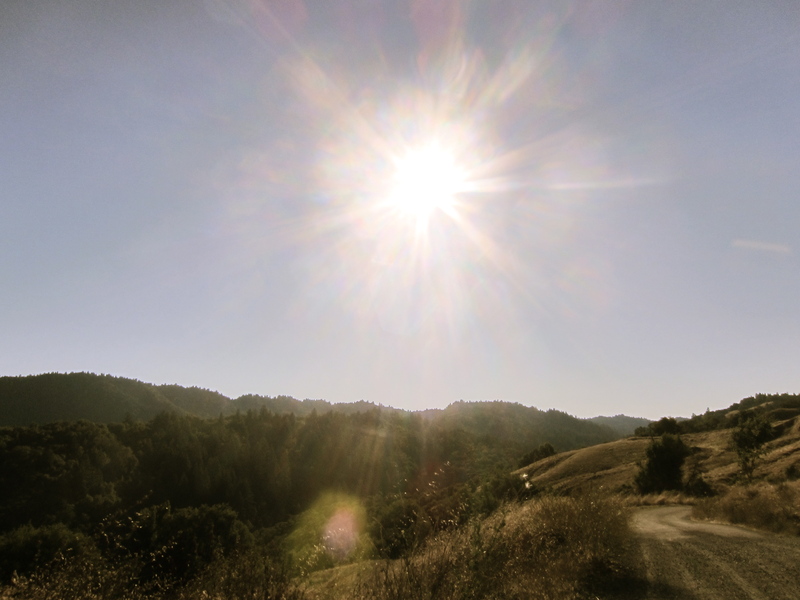 High summer in the vicinity of MacMurray Ranch and Porter Creek Vineyards, where Westside Road elbows east for a spell. A narrow, windy, potholed road that travels the length of the valley. It starts at River Road, an east/west thoroughfare from the mouth of the Mark West Passage in Santa Rosa to the southerly kink of highway 116 in Guerneville, and bottoms out at the gateway to Dry Creek Valley in Healdsburg. 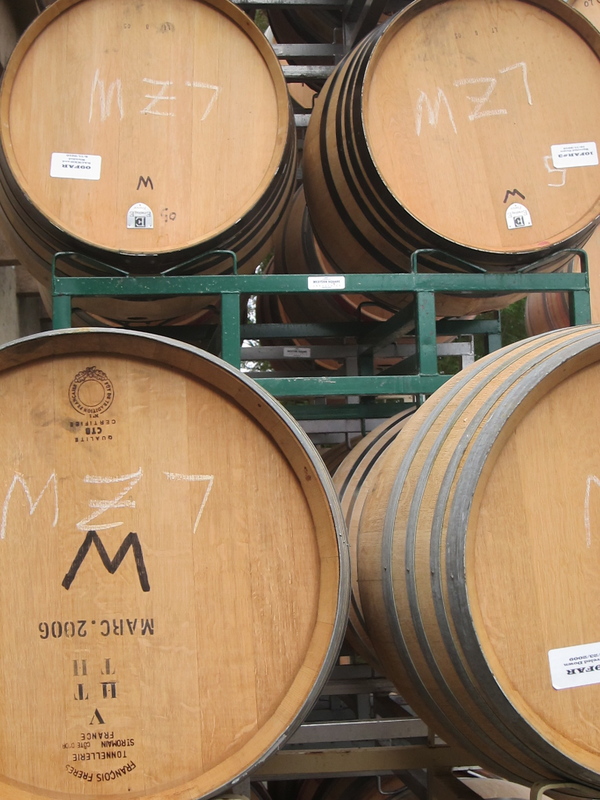 Westside Road – sometimes called the Rodeo Drive of Sonoma County – is home to classic, stalwart names of Russian River Pinot Noir including J. Rochioli, Williams-Selyem & Arista. 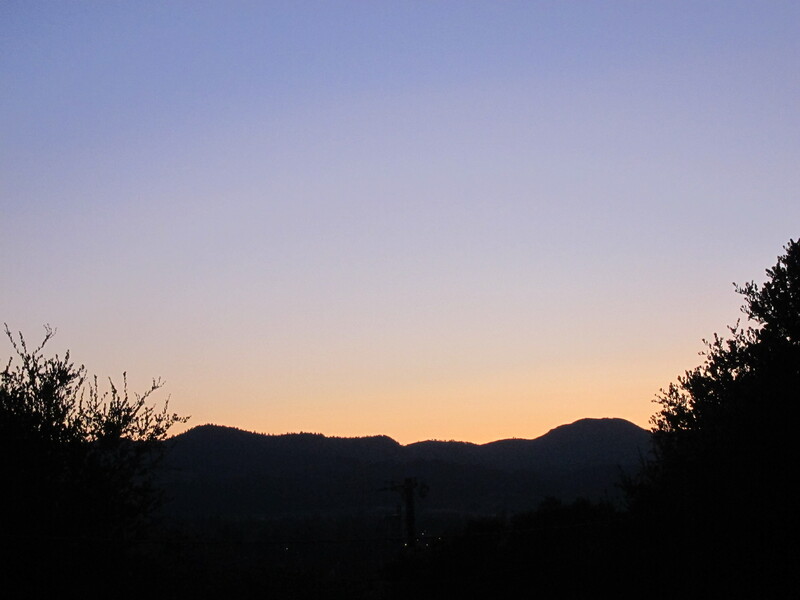 I was lucky to call it home for much of my time in Sonoma. My Volvo traced its pavement at all hours of the night and day over 3 seasons, its scenery as lush and moving to me on my last day as it was on my first, when I took the shot above. 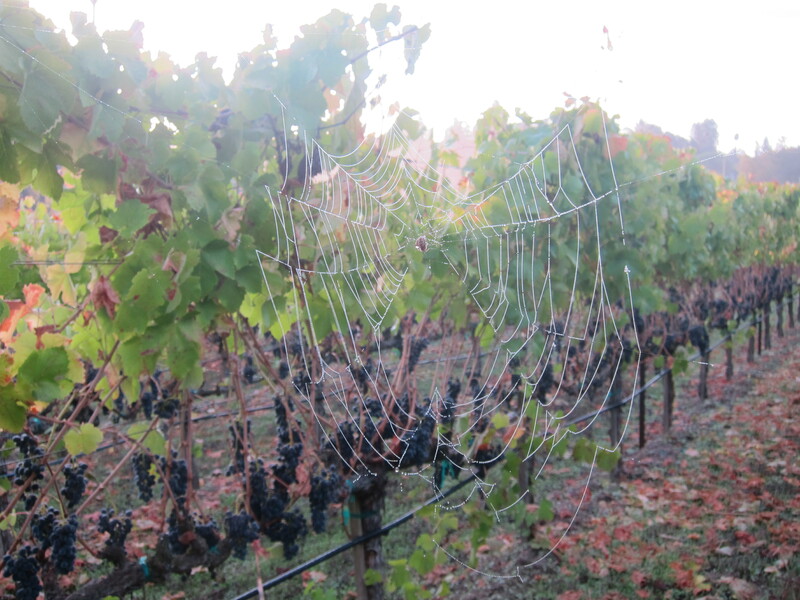 Taken in Obsidian Vineyard in the Knights Valley AVA of Sonoma County, in the fullness of summer, with the fruit still in robust growth, veraison weeks away and harvest only a speck on the horizon. At this point in the season, the Donelan team and I were still carting ourselves deep into and up to this site for regular and rotating sampling duty. Sampling is a peculiar chore – both laborious in its seeming endlessness and pleasant in its simplicity and bucolic quality. To complete the scene: imagine a sweaty brow, stickers and nettles poking through your hot shoes, a plastic baggy growing clammy in your hand and heavier with each vine you stop to pluck, and arresting beauty on all sides. 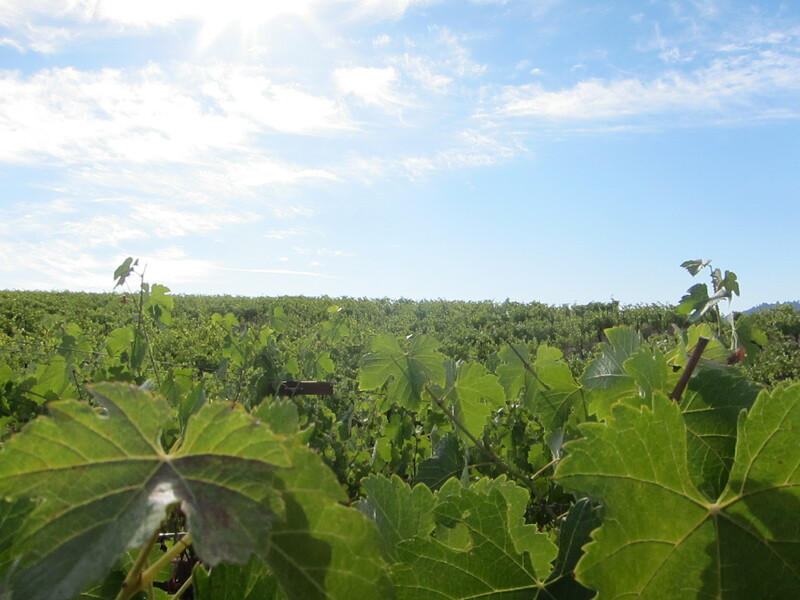 Calculated randomness, Tyler explained the first time I sampled: counting steps, switching sides, skipping the same number of rows each time, making the same number of passes through each block of a vineyard – all in the interest of a faithful representation of the fruit’s ripeness. Sweetwater Springs Road, just off of Westside Road in the Russian River Valley, looking northeast toward Armstrong Redwoods Preserve and Austin Creek. Obsidian Vineyard. 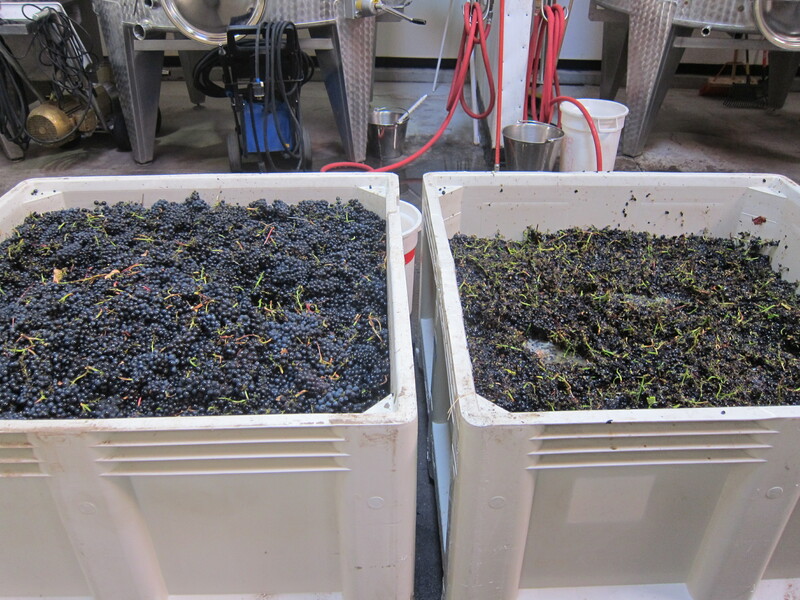 Canopies fuller, leaves darker, sunlight a little less direct and brutal; harvest approaching. 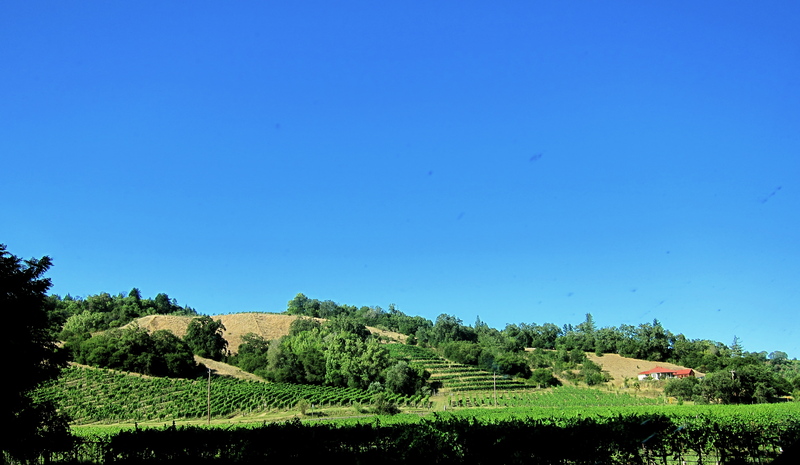 Walker Vine Hill Vineyard in full summer light and green. 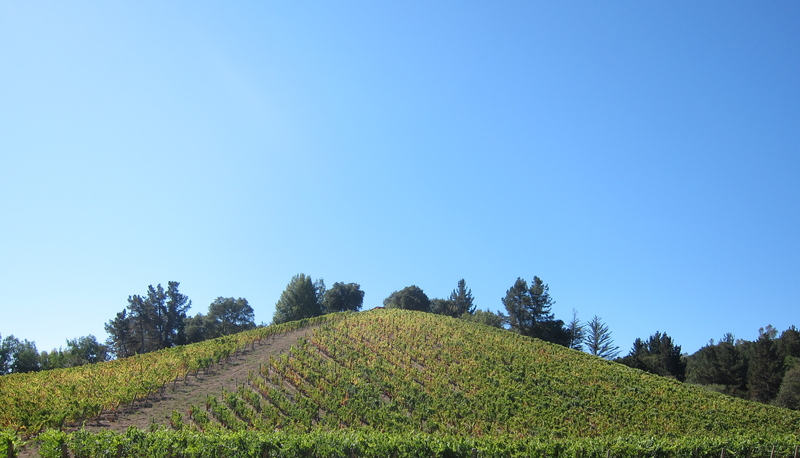 On the left, the vineyard’s only Pinot Noir coats the slope’s east-facing block. It was one of the first lots we brought in. Most of the slope is home to Syrah, ripening slightly faster than the relatively flat acres behind where I stood to take this picture. 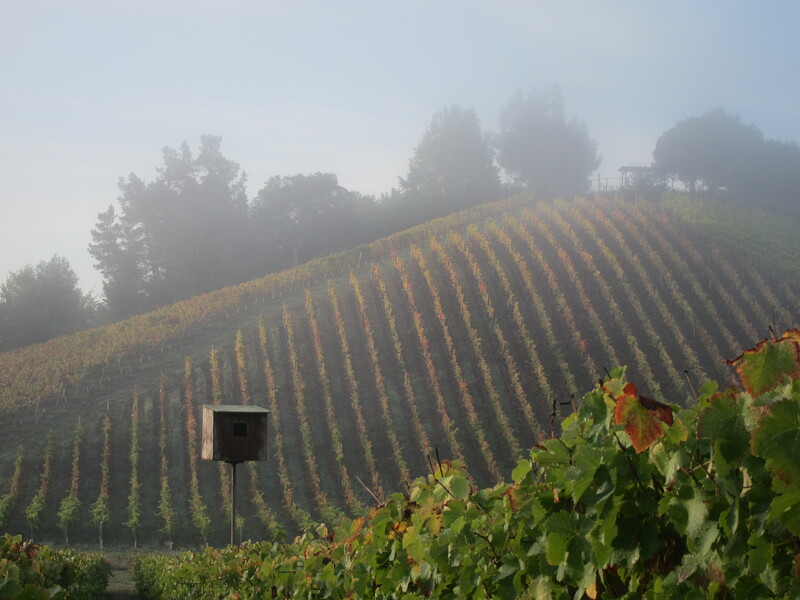 The same vineyard below, leaves beginning to catch the colors of fall and classic Sonoma fog still burning off. The left bin remains uncrushed and awaits its fate in the destemmer. The right bin has just been foot-stomped; you can tell from the visible puddles of juice and the way the clusters look like the fallen, driven-over gunk that coats a springtime parking lot. In the background, constant cellar companions: the Waukesha pump on the left and the pressure washer at center. 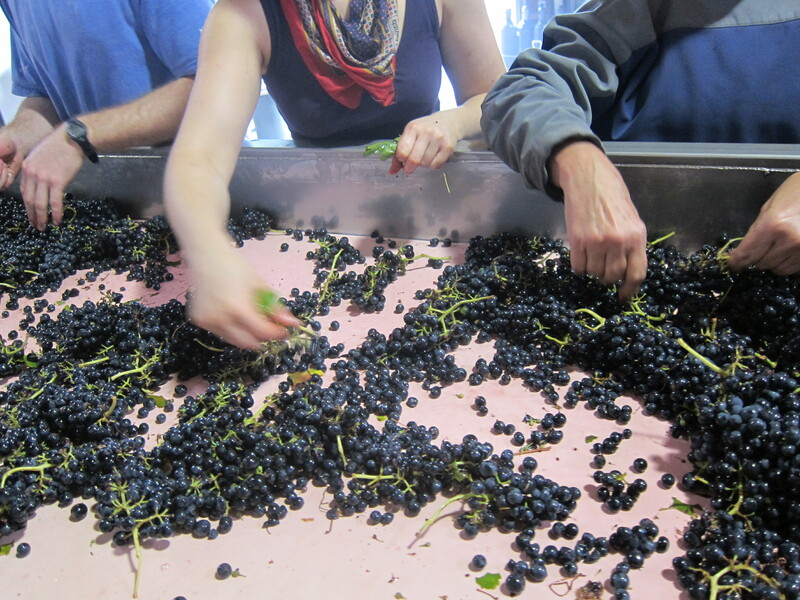 Busy hands sort through Obsidian Syrah – one of our biggest vineyards, one of our longest days. 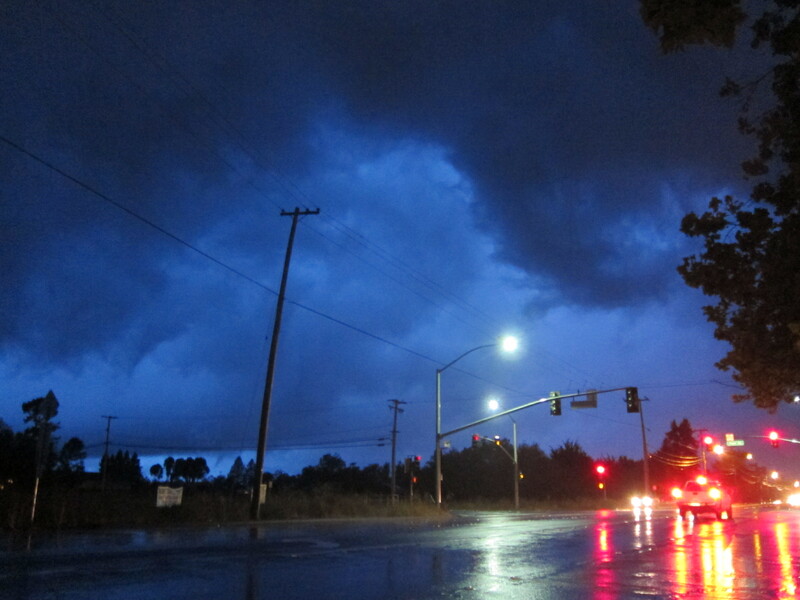 Storms clearing over Santa Rosa on a harvest dawn. These rains made us crazy at the time – stalling our picks, rotting fruit, turning all of our seasonal energy into antsy jitters. Perils of the workplace. Someone moved into Block 1 of Walker Vine Hill. 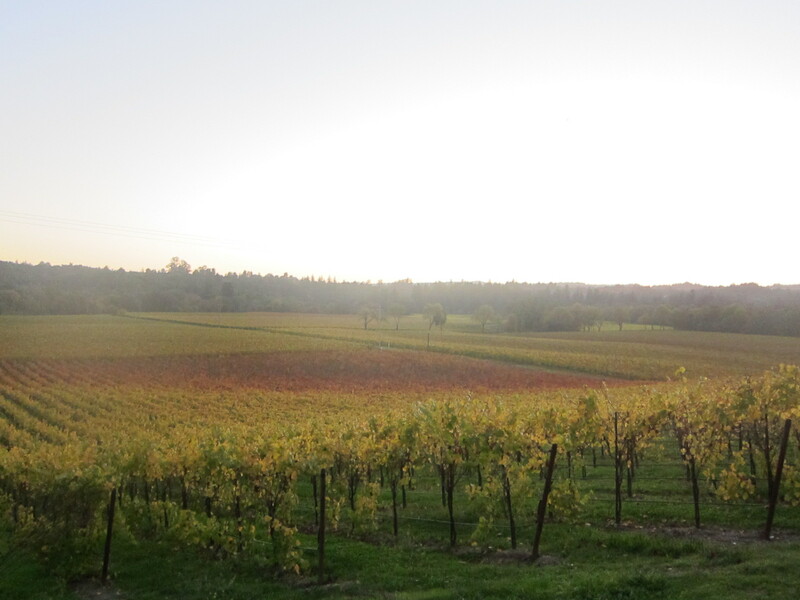 Fall taking hold at Kobler Vineyard, in the far western reaches of the Russian River Valley, just south of Forestville off of 116. 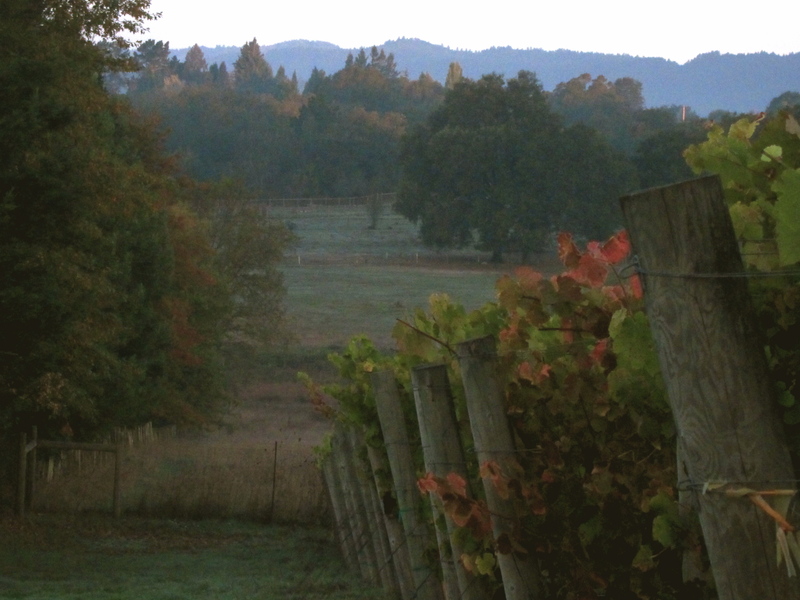 A vineyard off of Wohler Road, which connects River Road to Westside Road just west of Santa Rosa. Facing River Road to the southeast. 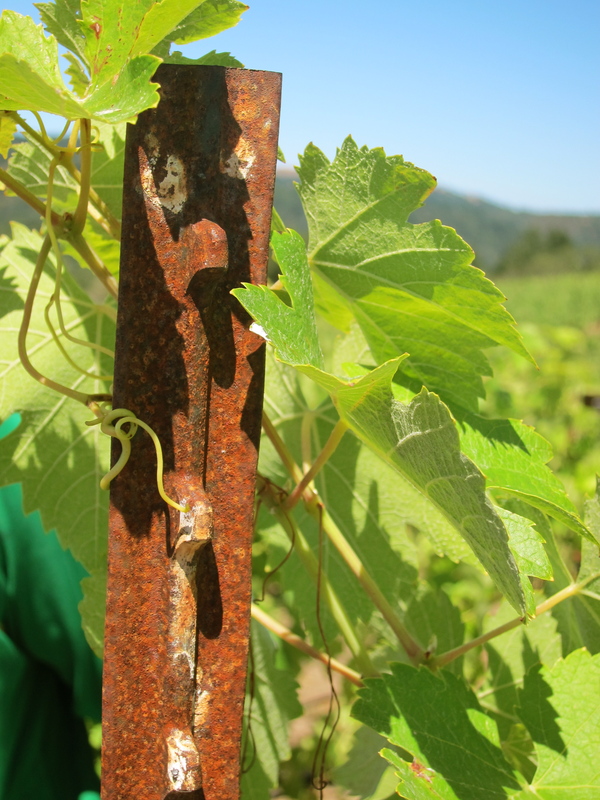 Different blocks planted at different times each see their own senescence – budding, flowering, and ripening at different times and eventually changing color and losing leaves at different times too. 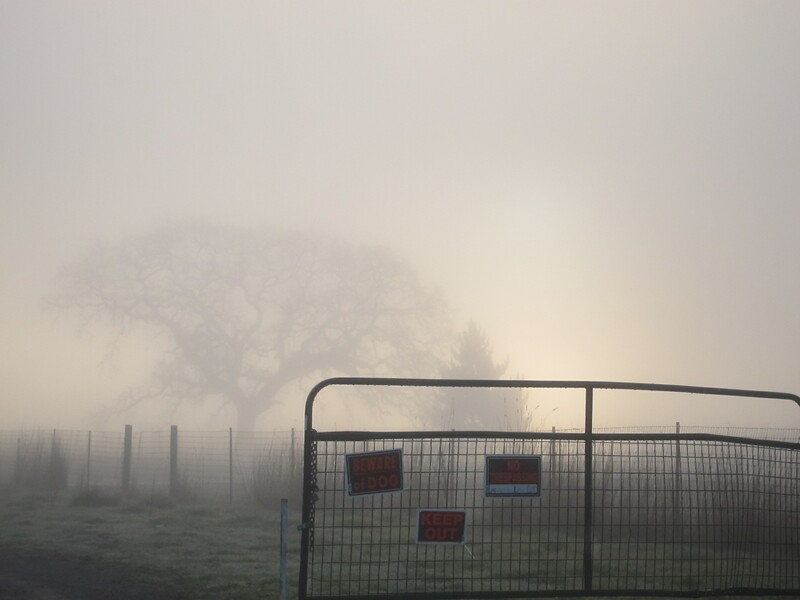 Above, a foggy patch of land on Barnes Road, just north of the winery. A little nook of southwest Santa Rosa that displays classic rural grunge: rusty fences, broken signposts, leaning mildewed shacks, chickens on the loose pecking at puddles in dirt potholes, a train track carting freight from the Port of San Francisco up the coast to the far reaches of the state. This last picture taken on my last day of work at Donelan. John Milton might say: “Tomorrow to fresh woods and pastures new.” But nobody asked him.